Professional accreditation is essential in ensuring the quality and integrity of effective educational practices. Graduating from an accredited program assures that your degree will be recognized by employers, state and national certification boards, professional associations, and other higher education institutions. Western University of Health Sciences holds regional accreditation from the Accrediting Commission for Schools, Western Association of Schools and Colleges (ACS WASC). For more information regarding the institution’s WASC accreditation, please visit https://www.westernu.edu/university/university-about/university-accreditation/. The College of Graduate Nursing at Western University of Health Sciences has approval from the California Board of Registered Nursing for our MSN-Entry (MSN-E) program and FNP certificate program. 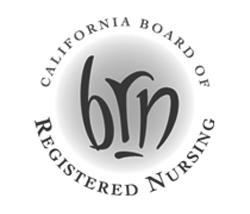 BRN approval of registered nursing programs and advanced practice nursing programs ensures compliance with statutory and regulatory requirements.